Amazon is taking its Dash button concept and introducing a programmable variation that can be taught to control your IoT devices. The AWS IoT Button is not really meant for the general public but rather developers looking to get started with AWS IoT, the cloud infrastructure service from Amazon Web Services, without writing device-specific code. The device comes in the same form factor as the Dash, but instead of one-touch reordering of things like toilet rolls and detergent, the AWS IoT Button could be used to trigger simple actions -- turn on the lights -- or multi step events with a single press -- dimm the lights, turn on your media center components and launch Netflix. Amazon mentions a few interesting use cases in its product description as well: you can click the button to unlock or start a car, open your garage door, call a cab, use it as a check-in/check-out device for Airbnb guests, or a way to order your favorite pizza for delivery. As Popular Science notes, developers have been hacking Dash buttons and Amazon’s Echo to do all sorts of things already, so this is Amazon’s way of moving forward their ideas while promoting their managed Internet of Things service. 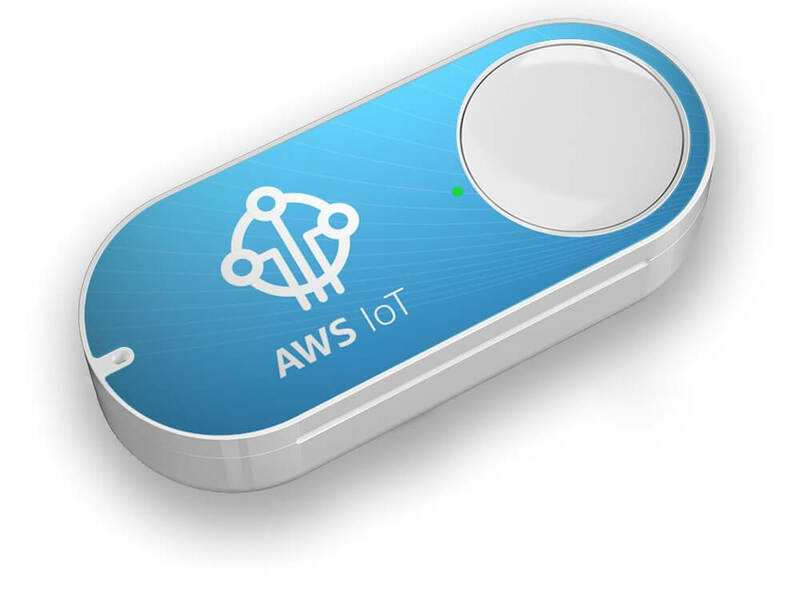 The AWS IoT Button is listed for $19.95 and appears as currently unavailable. You will need an account with Amazon Web Services to be allowed to buy one.